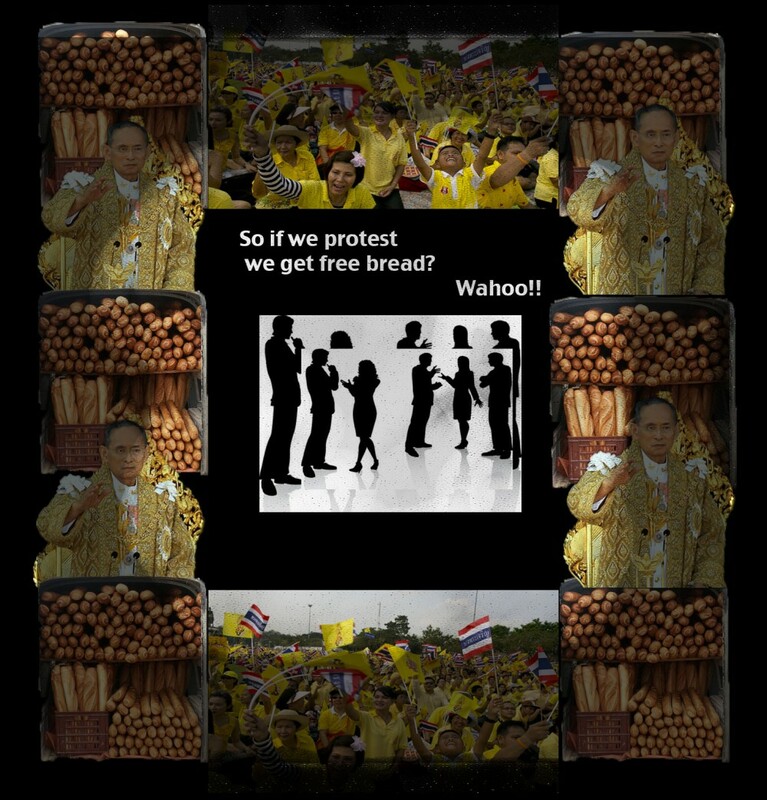 Home » Current Affairs » HERE COME THE RICH THAI PROTESTERS AGAIN! Thai protest leader (and shrimp farm and palm oil magnate) Suthep Thaugsuban has thus far failed to overthrow Prime Minister Yingluck. Now he hopes the newly minted Supreme Court will finish the job for him. The Thai Supreme Court is appointed by the King and was created after the 2006 coup that overthrew Ms. Yingluck’s brother Thaksin Shinawatra. The current PM is charged with the egregious and sinister crime of ‘nepotism’. Legal scholars claim the Supreme Court lacks legitimacy following a series of decisions favorable to the monarchy. However, if they find Ms. Yingluck guilty, they will invoke Section 7 of the Thai Constitution under which the King can appoint a new prime minister. As for the rabid Mr. Suthep, his background reveals his motivations better than the rancor of his compensated fleet of protesters. The Thai protest leader is charged with two murders, treason and corruption during his 30-years as a politician. He presently uses his vast wealth to maintain a personal law firm of 26 full time lawyers who work on his legal defense. Why does Mr. Suthep want so badly to do away with Prime Minister Yingluck? The answer is the King (with a net worth of $30 billion USD) is 86 and in frail health. The crown prince however, is fond of Ms. Yingluck and her exiled brother whose economic policies favor the poor (taxing the rich to help the indigent). Mr. Suthep and his protesting flock of rich loyalists to the monarch (that pay the on-the-ground protesters in food handed out from the window of their Mercedes), need the King alive long enough for Ms. Yingluck to be ousted and replaced by the appointed Mr. Suthep who will then preserve their elite way of life in addition to Thailand’s generous tax policy.